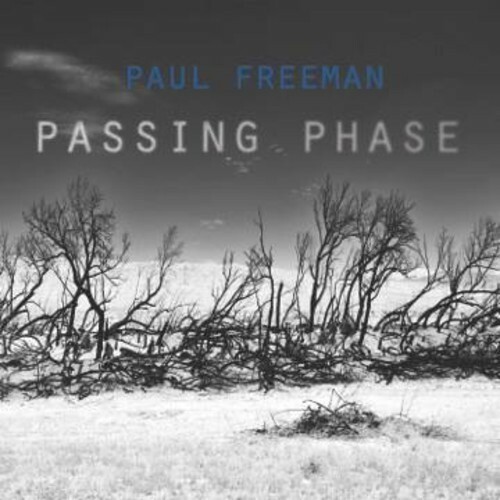 Passing Phase, a wonderful and insightful creation by Welsh born artist Paul Freeman, which presents class and professionalism on all three levels; artwork, songwriting and production. Passing Phase presents seven tracks, all of which have their place in its composition, a great sense of craft, skill and knowledge. What is particularly striking is the artist’s use of his influences being extracted and projected throughout. The likes of Bruce Springsteen, Tom petty and possibly Neil young can be heard within its layers. Last Man standing provides a great opener, with is almost film like scoring, signaling a very anthemic tale is about to unwind. What I like most about this track is its development of ideas; an orchestral beginning which instead of continuing in a familiar territory, changes into a rock ballad, unbeknownst on first listen. As discussed above Paul freeman presents knowledge and use of previous influences displayed perfectly through passing phases second track Go on. I get the feeling of a Springsteen track, an anthemic melody with lyrics perfect for a crowd to sing along in unison. To relate to a more modern sound, if you like a band such as the killers whose approach can be drawn here, this is a track for you. Songs Passing Phase and Every Silence again change the rhythm of the EP bringing it down to a simmering, contemplative note, which again breathes essence of past song writing greats. This time a more folk/rock feeling of Neil young guitar like building, crossed with a wonderful Rod Stewart like husk. Again I say this in terms of influence and by no means a craft of similarity, Freeman has a unique way of crafting something truly his own. Aptly titled In Memory of Me leaves the listener with the sound of Paul Freeman. A return of a beautiful, orchestral like scoring, progressing into the artists ballad style song writing. Most creative is the songs middle section Vocals drawn out and projected into an excellent tempo and texture change of enchanting strings, piano and guitar.